THE WINE COUNCIL CERTIFICATION IS A HOME STUDY PROGRAM. DATES BELOW ARE FOR REGISTRATION PURPOSES ONLY. TESTING DATES WILL BE CONFIRMED AT YOUR CONVENIENCE WHEN YOU HAVE COMPLETED THE PROGRAM. 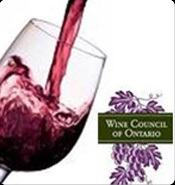 The Wine Council of Ontario Certification offers students in depth knowledge of vineyards, VQA regions, from cellars to glass with food pairings, and much more. This certification equips you with the information to serve confidently and speak intelligently about all types of wine. This new program allows you to gain proper wine information so you’re ready to serve at your next shift!